The Keystone Bullet 243BHS Travel Trailer for Only $19,995! Right now we are offering a Keystone Bullet 243BHS bunkhouse travel trailer for an incredible price. With a manufacturer’s suggested retail price of $25,940, you can find a saving of almost $6,000 as we have discounted the price to only $19,995. So get this great camper for a fraction of the regular cost! Get a great deal on the Keystone Bullet 243BHS Travel Trailer! 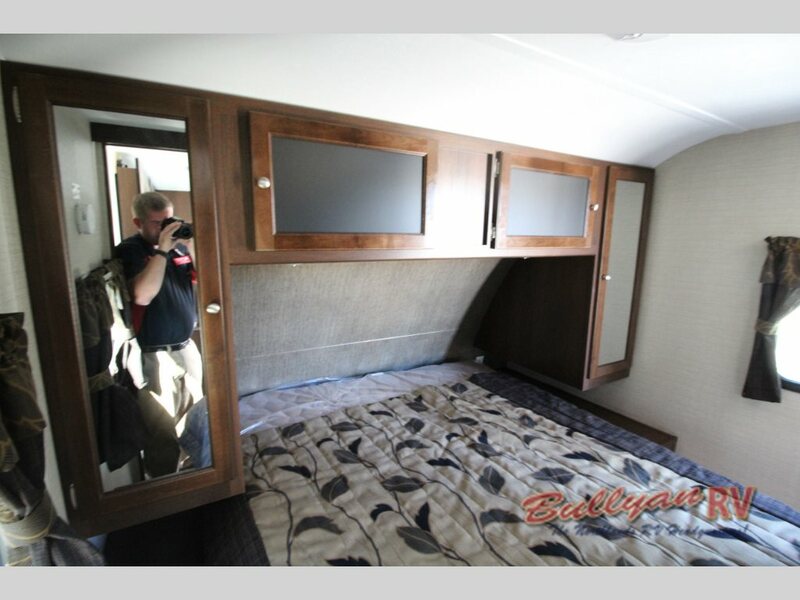 The Bullet 243BHS model comes with one slide and enough sleeping space for eight people. This is made possible by not only the large front master with its queen sized bed but also by the rear bunkhouse area complete with double size bunks to fit more people comfortably. With the queen sized master and bunks bed, find space for up to 8 people! Plus, in the combination kitchen and living room, you will find a U-shaped dinette in the slide. This area can be converted to a bed, so this space is usable both day and night! It will also give you an amazing view of the built-in TV and entertainment center. Have more than enough room in the spacious interior! This slide allows for the main room of this Keystone Bullet to be spacious and open, so you will have every feature you need to make the perfect kitchen. For instance, this extra space perfectly fits the L-shaped counter with large sink included, so you have more prep space as well as more areas for the appliances like the three burner range and refrigerator. The bathroom on the travel trailer will be located in the rear with the bunk area, so you can easy access from the main room. With a tub/shower, toilet, and vanity with sink, you will have all of the creature comforts of home! 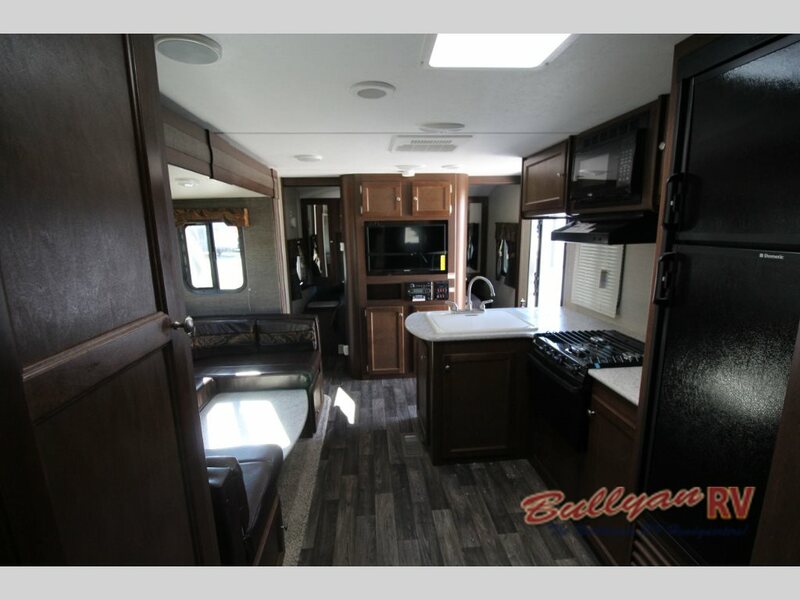 With the incredible discount of only $19,995 on this Keystone Bullet 243BHS travel trailer, it is not likely to stay on our lot for long! So make sure you contact us or stop by today to get in on this incredible deal as well as any of the other low prices on the other fifth wheels, travel trailers, toy haulers, and more that we have available.